This description of the Prophecies of Habakkuk is from Easton's Bible Dictionary. 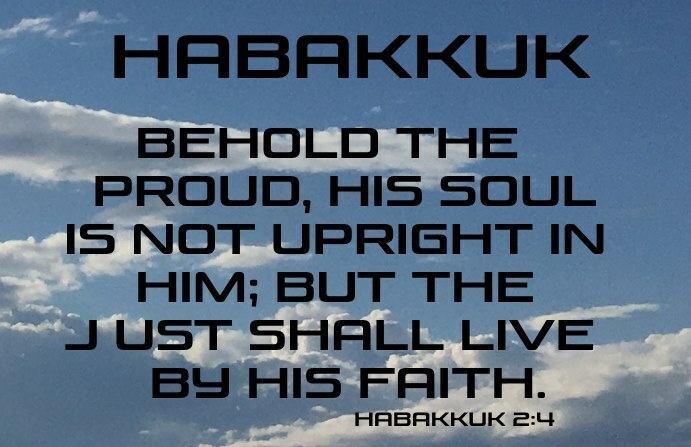 Habakkuk, Prophecies of: were probably written about B.C. 650-627, or, as some think, a few years later. This book consists of three chapters, the contents of which are thus comprehensively described: "When the prophet in spirit saw the formidable power of the Chaldeans approaching and menacing his land, and saw the great evils they would cause in Judea, he bore his complaints and doubts before Jehovah, the just and the pure (Habakkuk 1:2-17). And on this occasion the future punishment of the Chaldeans was revealed to him (Habakkuk 2:1-20). In the third chapter a presentiment of the destruction of his country, in the inspired heart of the prophet, contends with his hope that the enemy would be chastised." The third chapter is a sublime song dedicated "to the chief musician," and therefore intended apparently to be used in the worship of God. It is "unequalled in majesty and splendour of language and imagery."